But after booking our flights, it was time to start a vague route. We needed to decide where we wanted to go, what we wanted to do, where we were going to stay and how we were going to get there. Tierney and I only had 10 days to spend in Bali so our time was very restricted and we wanted to cram in as much as possible meaning that organisation was key. I spent hours and hours researching, drawing maps and finding reviews in order to make sure we saw the best places in Bali. So to make your life easier, I will compile all the information I found for my trip into this blog post, hopefully covering the basics of what you need to know about Bali. I have also included the hotel/hostel we stayed at in each place at the bottom of the post. Kuta is marmite. Some people love it but lots of people hate it. Personally this was my least favourite place in Bali. 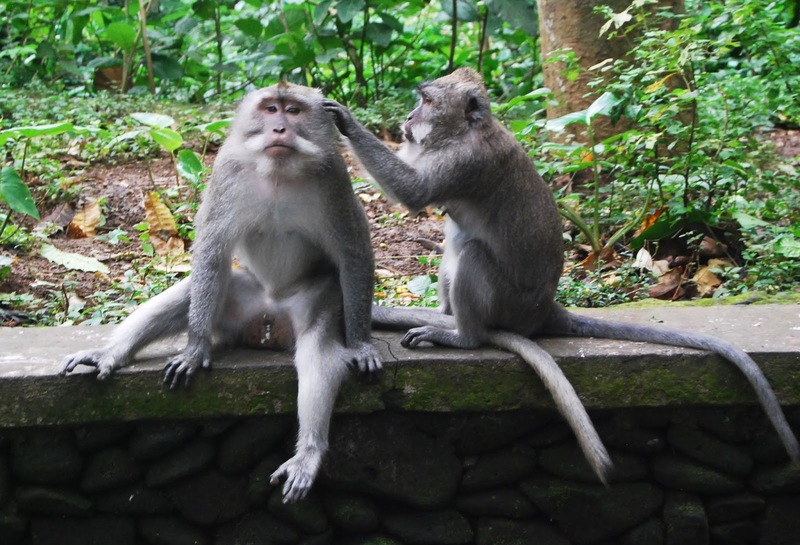 When I started my research on Bali it was one of the places that cropped up over and over again, so I feel it’s important to cover it even if it wasn’t one of my favourites. 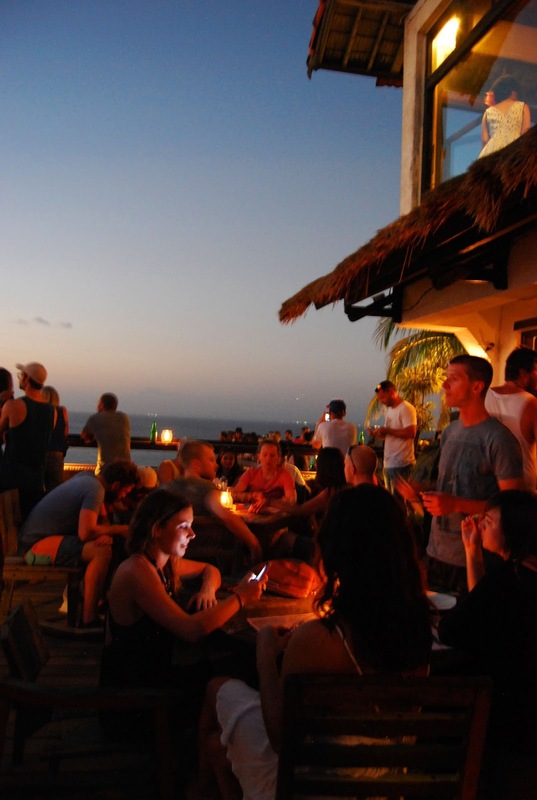 Kuta is absolutely packed with tourists, which means you experience very little of the traditional Balinese culture. Nevertheless there is still plenty to do to keep you entertained. 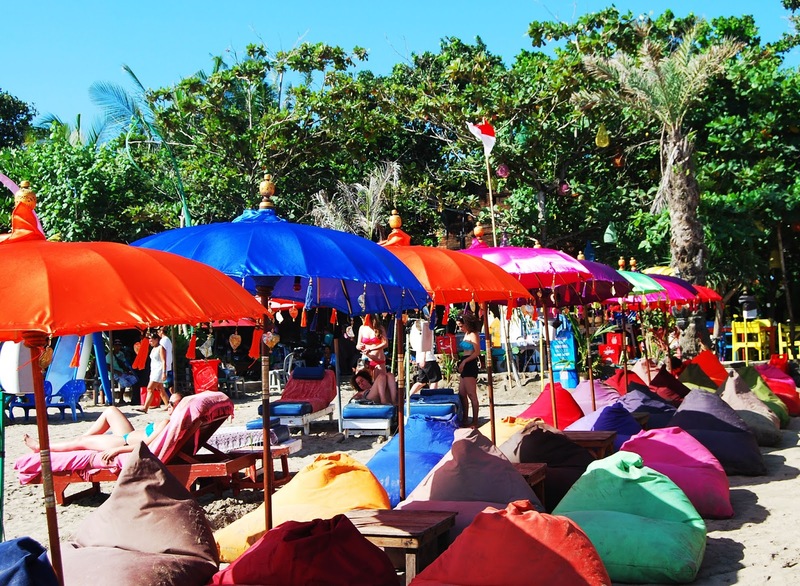 Kuta beach is lined with fun, brightly coloured restaurants and stalls so it’s worth having a wander down the beach if you have nothing else to do. 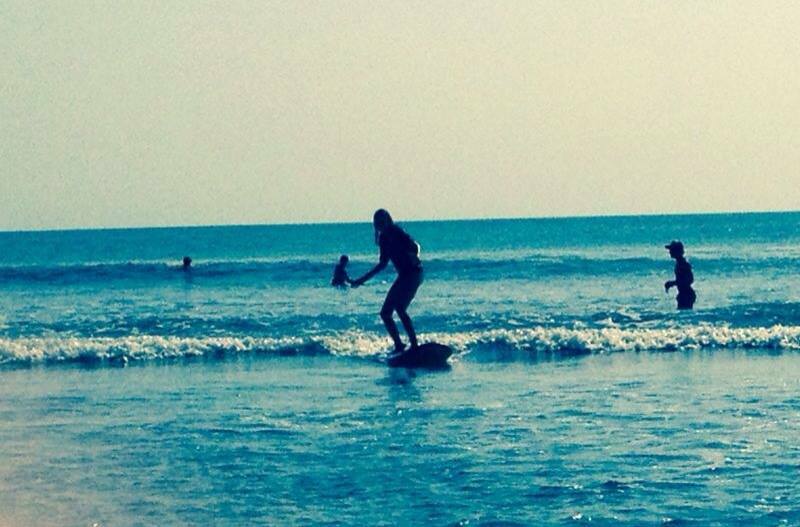 It’s also the perfect place to learn how to surf. 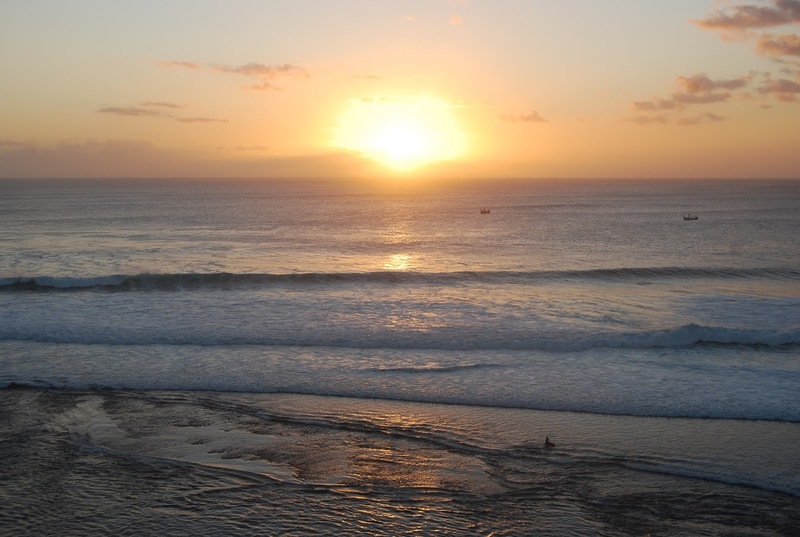 The waves are relatively small and there’s no reef to get battered by. Tierney had her first ever surf lesson here and loved it. The only problem is the sea is absolutely rammed with people attempting to surf, so it can be a little tricky to avoid running people over. 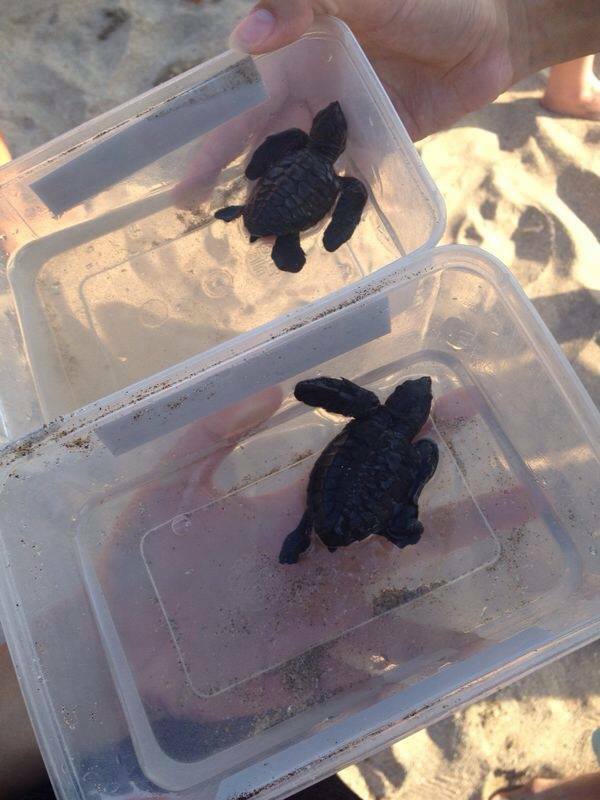 You can also release baby turtles into the sea on Kuta beach. When turtle mothers give birth to their eggs, they return straight back into the sea, leaving the babies to fend for themselves. Whilst this is fine in most places, Kuta beach is normally overpopulated and people carelessly step on the turtle eggs squashing them to a pulp. The Sea Turtle Project, is a group of volunteers who watch out for these turtle eggs day and night, rescuing them from the bottom of a tourists flip flop. They then nurture these baby turtles until they hatch. And this is where you come in. With so many baby turtles, someone has to release them! At 4pm outside the center, you will be given your very own baby turtle to release back into the sea, for absolutely free! 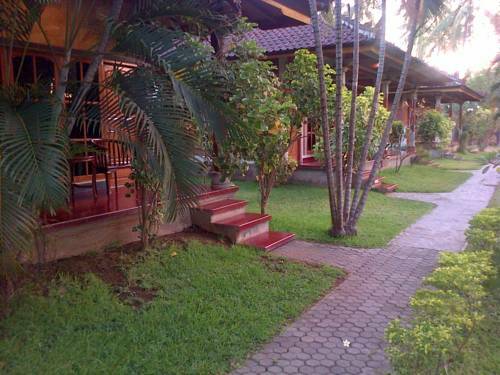 All accommodation photos are taken from agoda.com, these are just the places I stayed and my opinions on them. We booked this hotel the night before our stay. 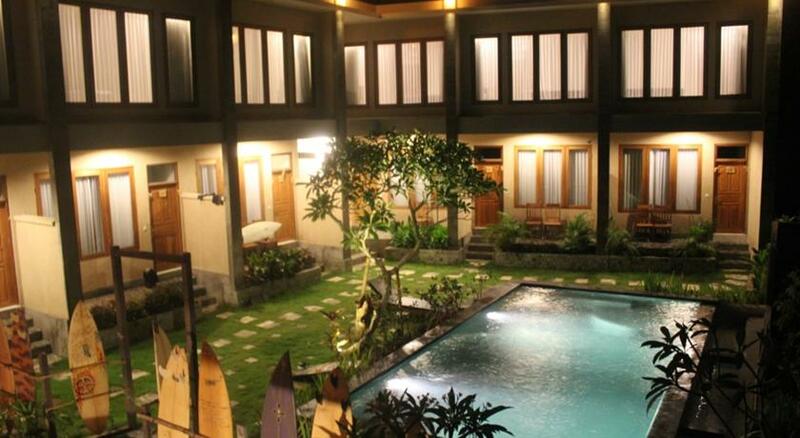 It’s pretty basic hotel but has a pool and is walking distance from most places you will want to see in Kuta. Along with Kuta, this is another place that frequently came up in my Bali research. Home to the beautiful and intricate monkey temple, stunning tiered rice fields and quirky shops and restaurants on every street, Ubud is the best place to find traditional Bali culture. If you fancy a challenge and a super early start (we’re talking around 2am here), you can trek up the live volcano, Mount Batur at sunrise which will reward you with a stunning view over Ubud. 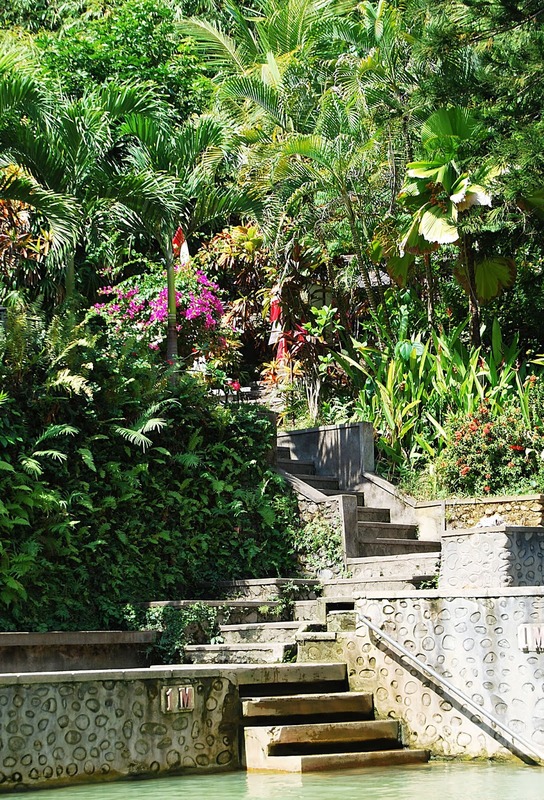 Ubud is also the perfect place for a yoga retreat! I didn’t have time to do one myself but will definitely be indulging in one on my return! Very basic accommodation in a shared room. We booked our fast boat to the Gili islands from here and they were so helpful and tolerated our millions of questions. Everyone staying there is really nice and lockers are provided to keep your valuables safe. Surfer’s Paradise/ a beach bum’s heaven. Uluwatu has some of the most beautiful beaches I have ever seen. A personal favourite of mine is Bingin Beach. The shallow rock pools act as the perfect still jacuzzi, where you can soak up the sun with a Bintang in hand whilst watching the surfers from afar. You will also meet one of the cutest dogs I have ever met… Beano the Golden Retriever who will take any opportunity to steal your towel. I would recommend making sure you’re in Uluwatu over a weekend. Saturday night is the Padang Padang beach party which (I’ve heard) is normally absolutely rammed. But when we were there a huge swell was anticipated the next day, (Uluwatu’s population is normally all surfer’s) so we assumed that everyone was mentally preparing themselves to paddle out the next day, so it was a pretty quiet night for us. 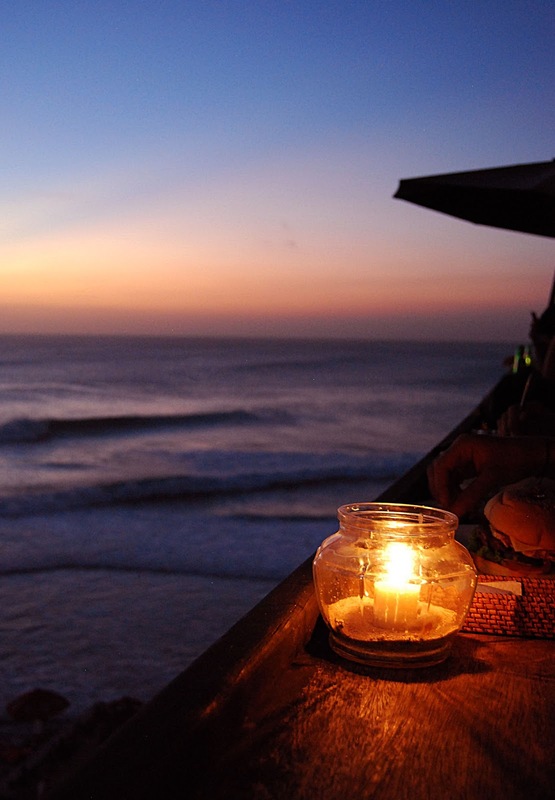 Another reason to stay on a weekend are for Sunday evenings at Single Fin. Live music, good food and a stunning sunset. A pretty good way to spend a Sunday evening if you ask me. There’s also the famous Uluwatu temple, Tierney and I didn’t go to visit because we were so sick of temples after visiting Bangkok and we were on a super tight budget so opted for a day on the beach instead. I will warn you surfers now though. 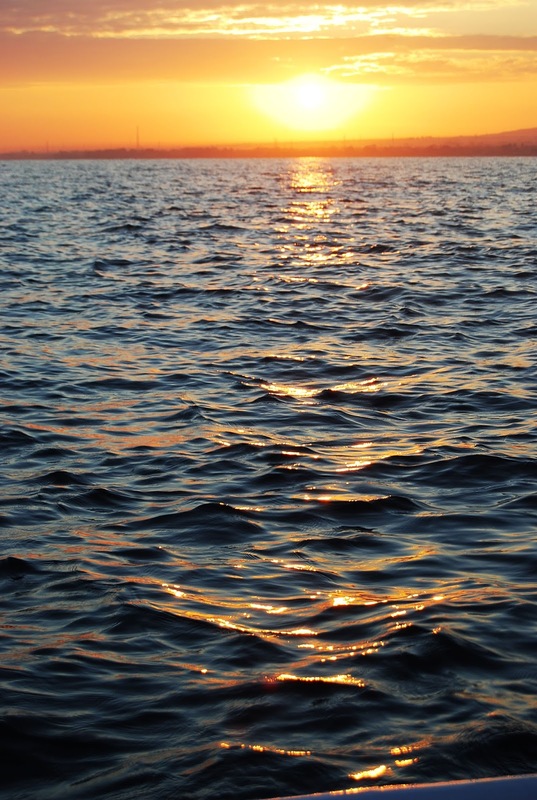 The reef is very shallow and the waves can be monstrous. It is very easy for things to go very wrong. If you’re in doubt do NOT paddle out! I can guarantee you it will not be worth it. Even some of the surfers I met who have been surfing for years and years were completely battered with some nasty infected coral cuts. Don’t risk it. No one’s gonna judge you unless you’ve boasted that you’re a world champion surfer. 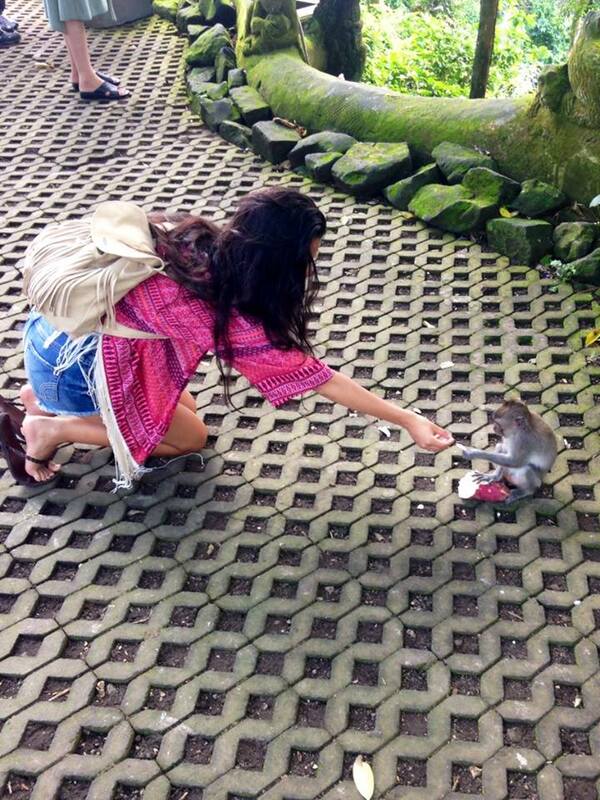 This was easily one of my top three places I stayed in Bali. We had a couple of issues when we first arrived as they had double booked our room and we had to stay in their partner hostel but we were transferred straight back the next day. 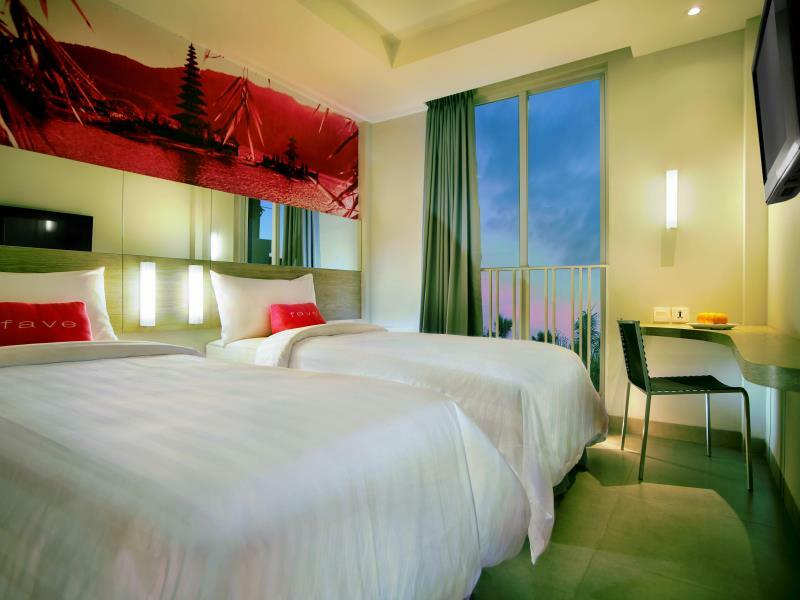 The rooms were large and air conditioned which made a change from some of the stuffy rooms we had been staying in. There’s such a typical surfer vibe here, everyone’s friendly and happy to help you out with whatever you need. 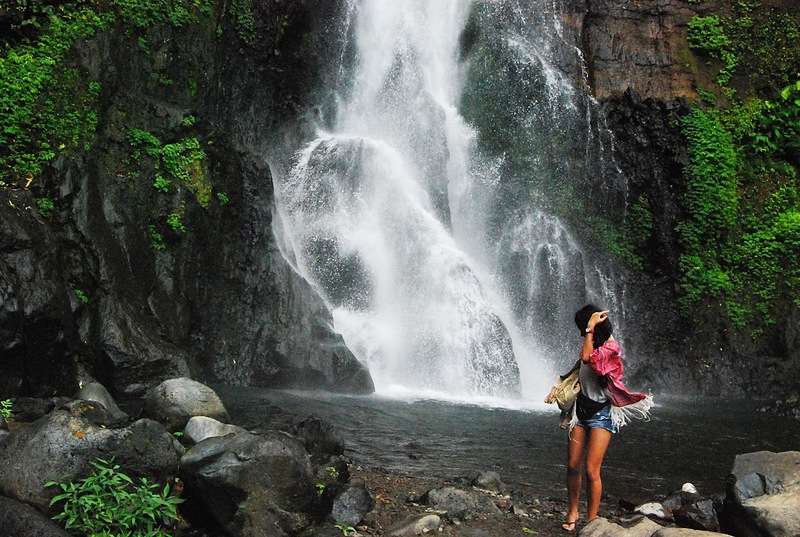 Lovina is pretty far out from the rest of the places you are most likely to visit on mainland Bali and you might not think it’s worth the journey (I will guide you on transport a little bit later on). But I am very glad that we made the effort to visit. 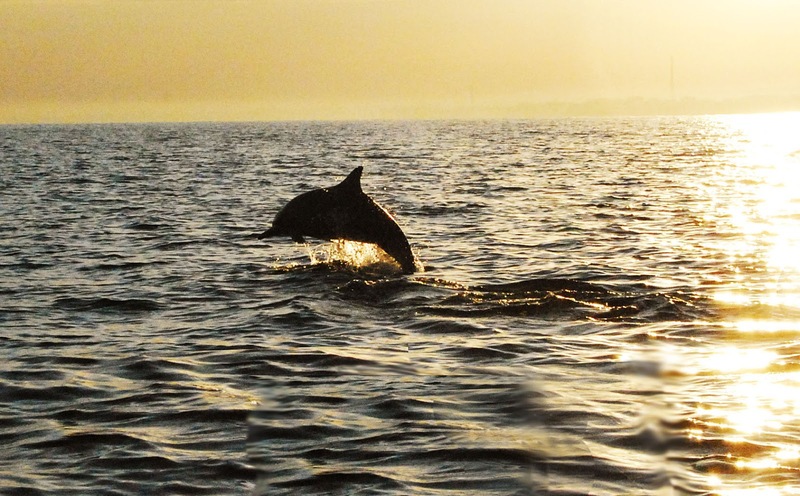 Lovina is renown for it’s dolphins. You wake up at 5am (I know, I know, a little bit too early for the most of us, but really it’s worth it.) with bleary eyes you stumble down to the beach, jump into a little boat and keep your eyes peeled. I have never seen a wild dolphin so close, there really is something special about being in the presence of these graceful animals. But I have heard that sometimes people aren’t lucky enough to spot any dolphins, but I still think it’s worth it. We paid just £3 for the trip and you begin another day with a sunrise over Lovina. 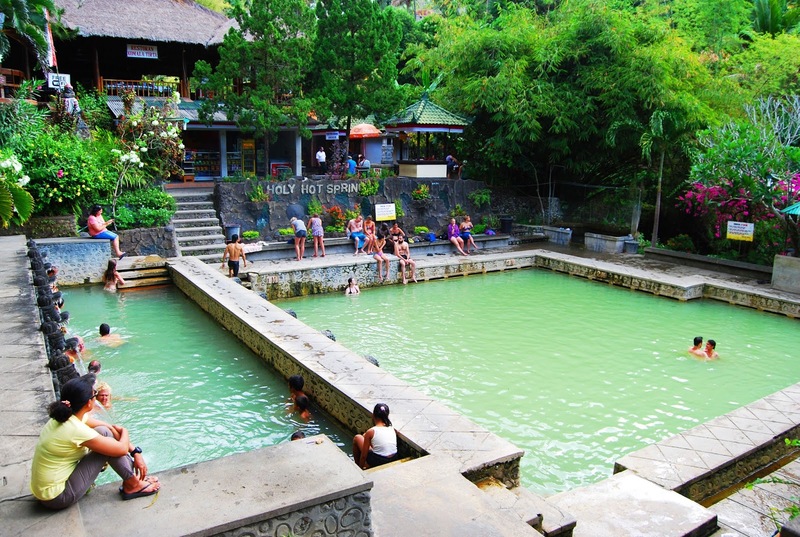 Along with the dolphins, we also visited Air Panas Hot Springs, which is Paradise on Earth. 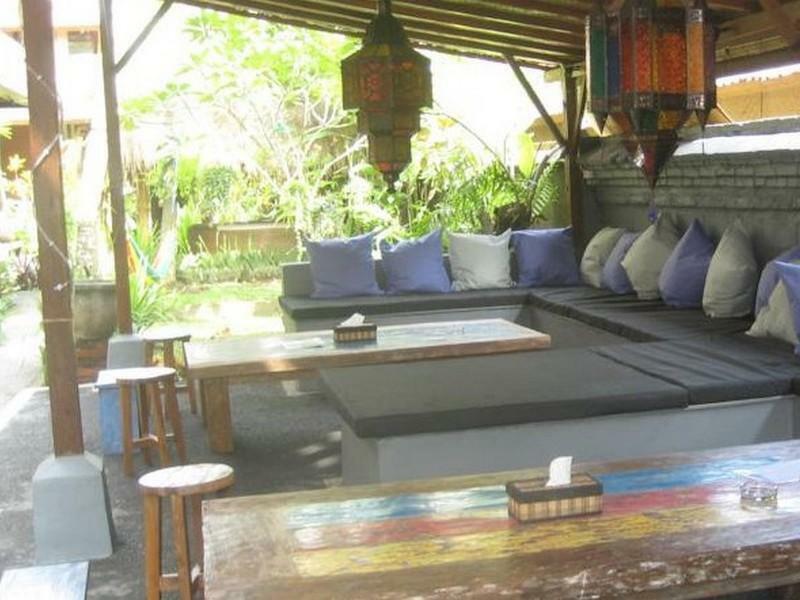 It’s beautiful and a very relaxed way to pass an afternoon in Lovina. There’s also GitGit Waterfull, which is beautiful and most definitely worth a visit if you’re in the area! Another one of my favourites! This place is so beautiful. You open up your little hut to a garden full of frangipanis (my all time favourite flower) and you are literally steps away from the black sand beaches. Breakfast is included in that price so for £10 a night you’re not doing too badly! I’ve only visited Gili T, so can only really advise you on that. How to sum up Gili T… Hmmm… frequent powercuts, only method of transport is pony and cart and bicycles, if you’re planning on visiting I hope you’re quick on your feet because they won’t hesitate to run you over! 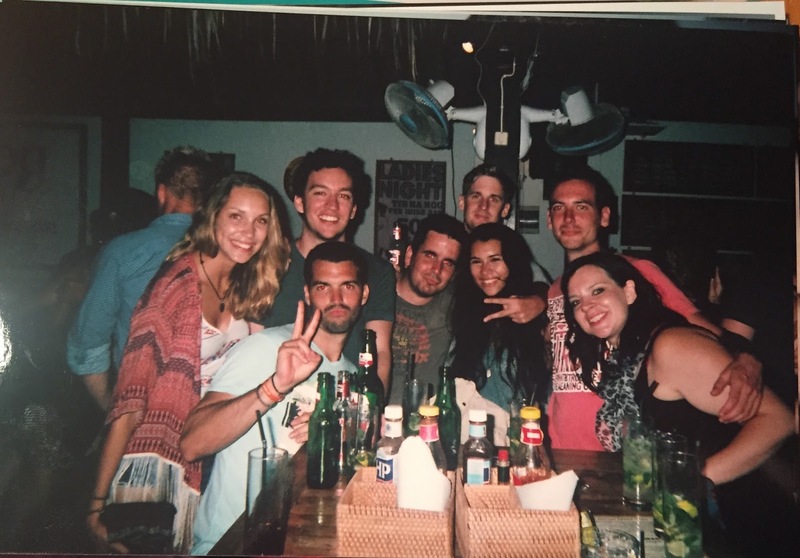 Gili T is an island of madness and I’m pretty sure you will love it. Gili T is one of the best places I have ever snorkelled, the water is so clear you can see everything in sight and if you’re lucky you might even spot a turtle! I also tried SUP paddle boarding for the first time here. I LOVE IT! What a way to explore! If you’re nice to the owner, he might even invite you to paddle over to the other island with him. The best part of Gili T? 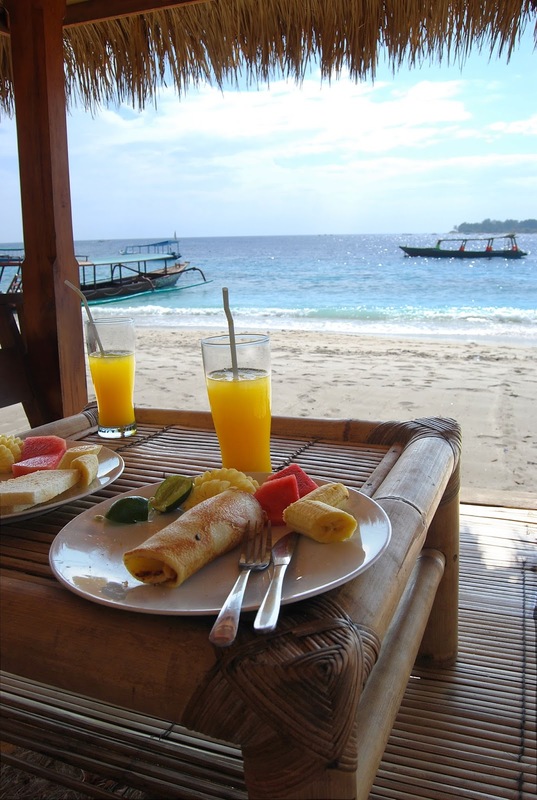 Having breakfast with my best friend every morning on the beach in our favourite little hut. Has there ever been a better way to start the day? Finally my third favourite accommodation. With flush bungalows you are located literally just off the beach bang in the middle of the madness. 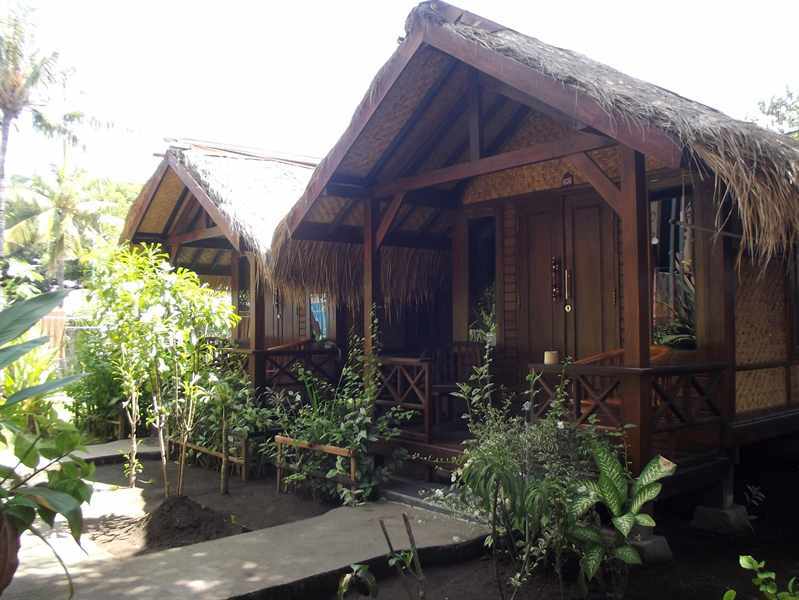 The only downside to flush bungalows is it’s pretty close to a mosque and you can hear the morning prayers every day. Well I sleep like a log so the morning prayers woke Tierney every day. But the people are super friendly, they have a restaurant right opposite the accommodation, I would definitely recommend a stay here. Oh and the bathroom is outside, I thought this was pretty cool but some of you may disagree. You won’t believe it when I say it… Private Driver. I know. No! I’m not kidding! For a two hour journey from Denpasar to Lovina we paid a grand total of… dun dun duuuuun… 500,000 IDR. A grand total of £25. So £12.50 each. In my eyes that is pretty damn good for a two hour journey. No sweaty buses or trains but your own private air conditioning. For places like Ubud/Uluwatu/Kuta they are all reasonably close together, so it’s up to you whether you want a driver or just to take a taxi. Here is the company that we used. And here is a coupleof other options. Just drop them an email and they tend to respond pretty quickly! The Gili Islands and Nusa Lembongan you will need to take a ferry. Most hostels will offer you this at their tourist desk. We paid £15 for the fast boat which will get you there in about 4 hours. If you want to take the slow boat it will cost around £5 but take 15 hours. We didn’t have a day to waste but if you want to save as much money as possible and have ample time, it’s probably worth considering. Believe it or not, I think that’s everything covered! If you have any more recommendations for me, I am planning on going back to Bali this Summer so let me know what you suggest. I hope this helps any of you planning on going to Bali and definitely let me know how your trip goes! If you have any more questions feel free to leave a comment below!